Spacious home with lots of extras in the White Plains School District! 4 bedrooms and 3.5 baths this home is perfect for family needing space. Fourth bedroom is large and could be utilized as an additional family room, exercise room, or home theater, and is wired for surround sound. Hardwood floors in all living areas and master bedroom. Tile floors in bathrooms and laundry room. New carpet in two of the bedrooms upstairs and hardwood laminate in the remaining bedroom and hallway. Walk-in closets in every bedroom, and additional closets downstairs and upstairs. 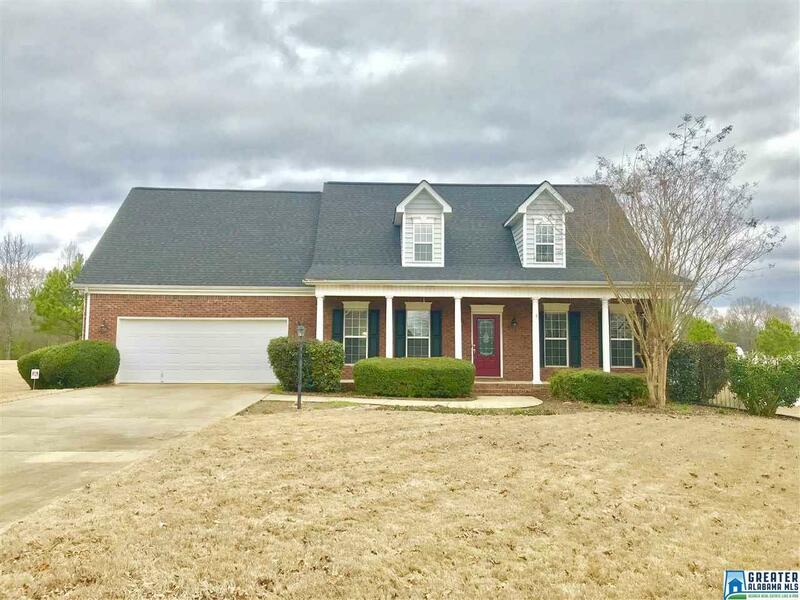 This home features all the amenities, brick fireplace with ventless gas logs, security system, sprinkler system, fenced yard for the dogs and playground set for the kids, gas grill and patio for those outdoor barbecues, large covered front porch perfect for outdoor lounging, and underground utilities. Home is located in a quiet neighborhood on a cul de sac street. Priced at $239,900. Driving Directions: From Henry Rd Turn Onto Choccolocco Rd, Right On Erickton Dr., Left Onto Old Choccolocco Rd., Right Onto Rolling Green Dr., House Is On The Left. From Hwy 78 W Turn Onto Dearmanville Rd., Continue On To Choccolocco Rd., Right Onto Rolling Green Dr., House Is On The Left.